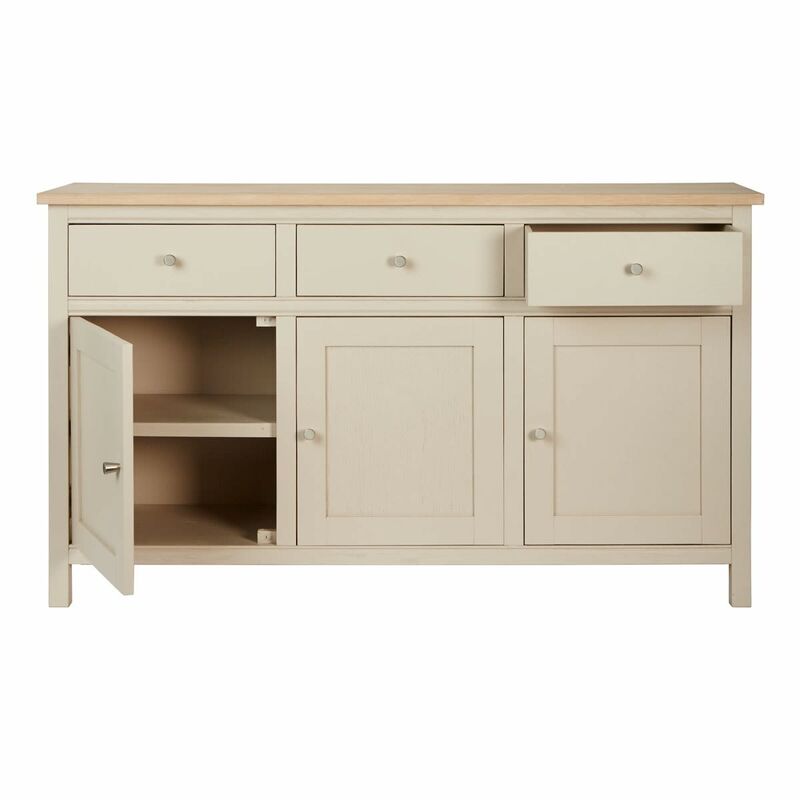 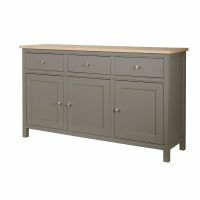 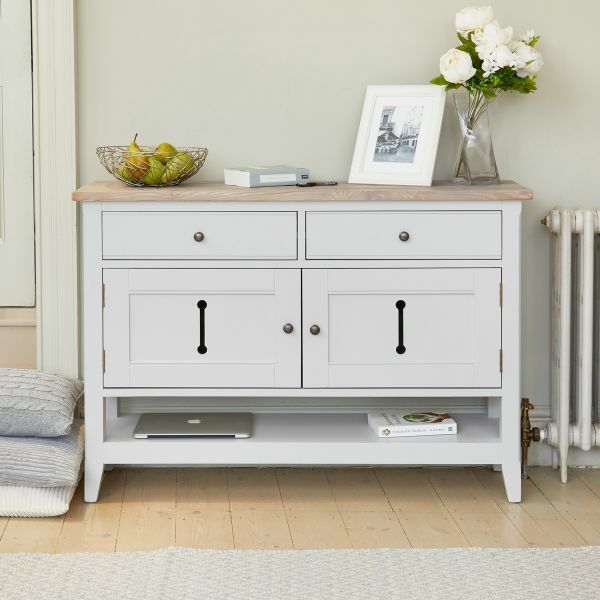 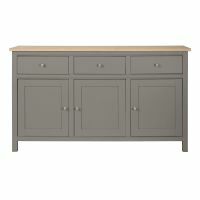 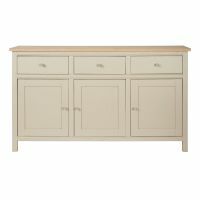 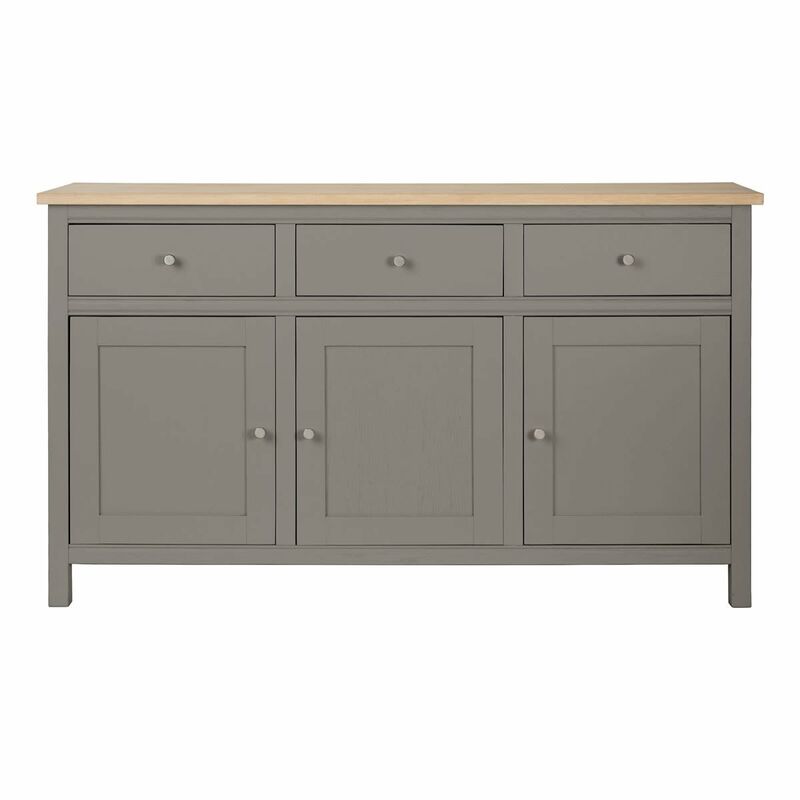 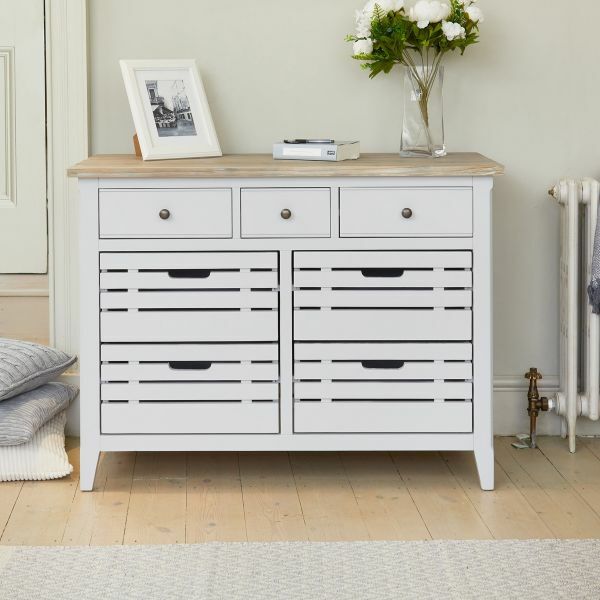 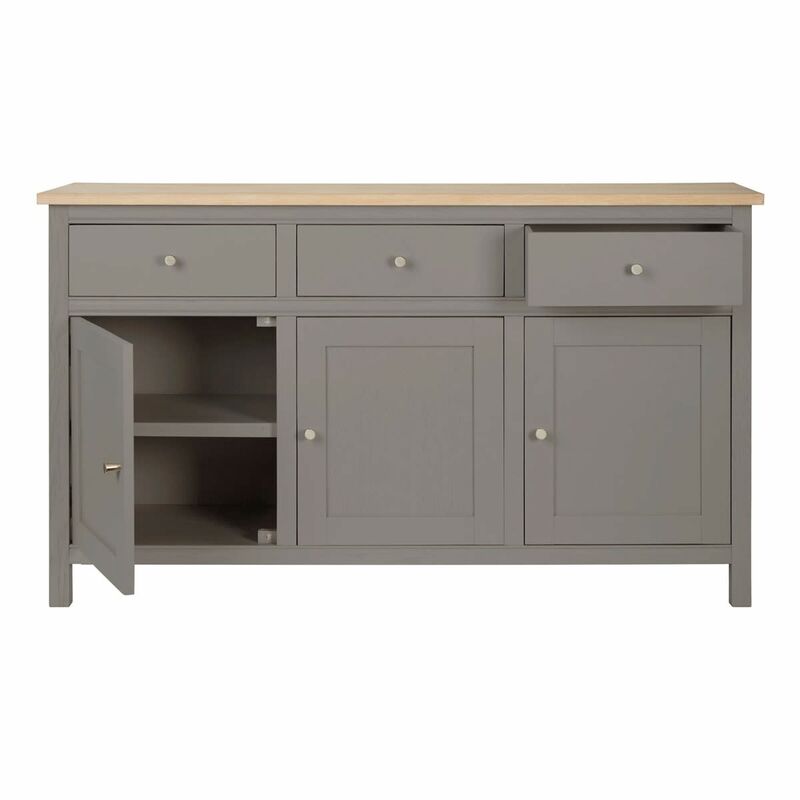 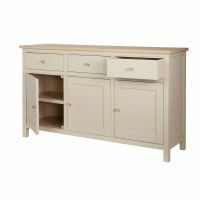 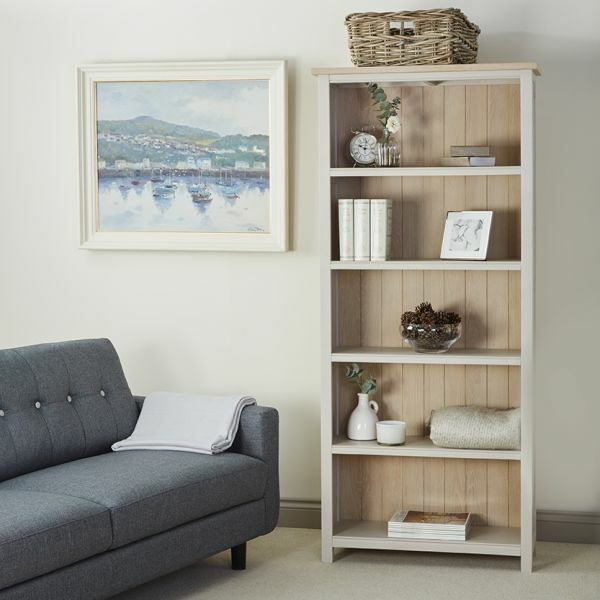 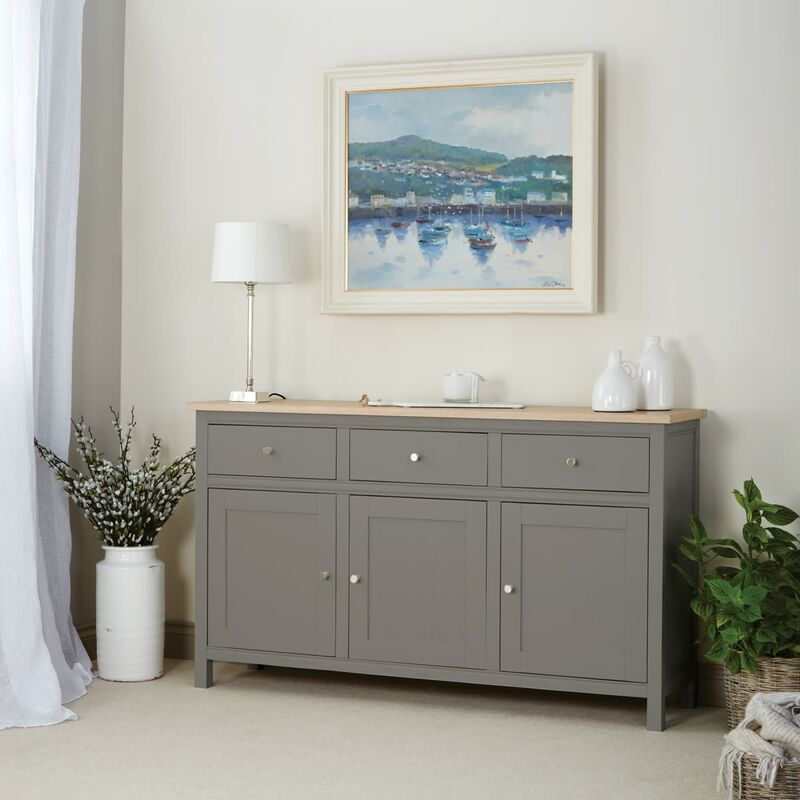 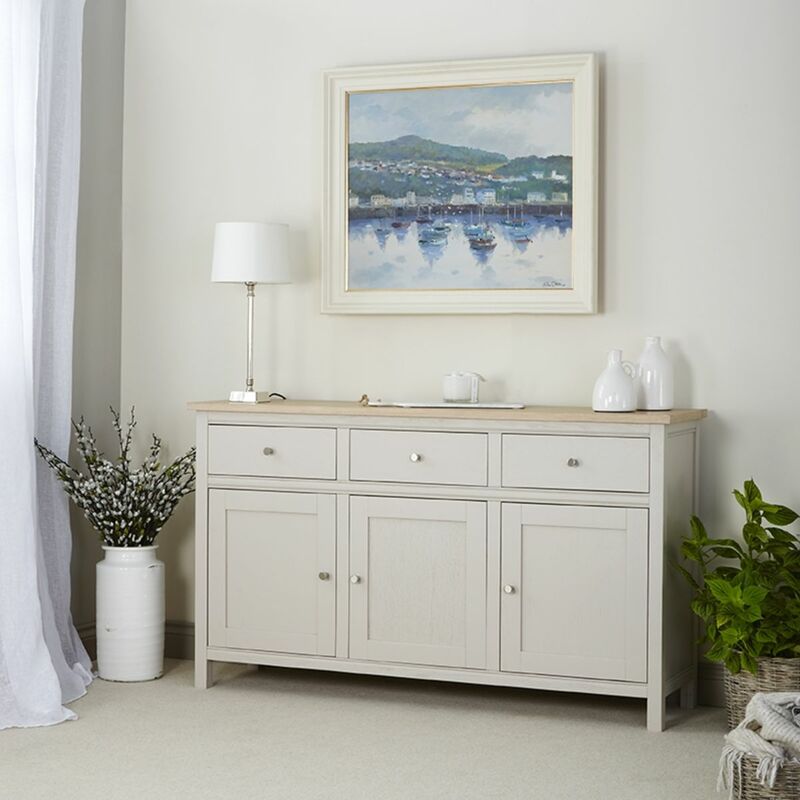 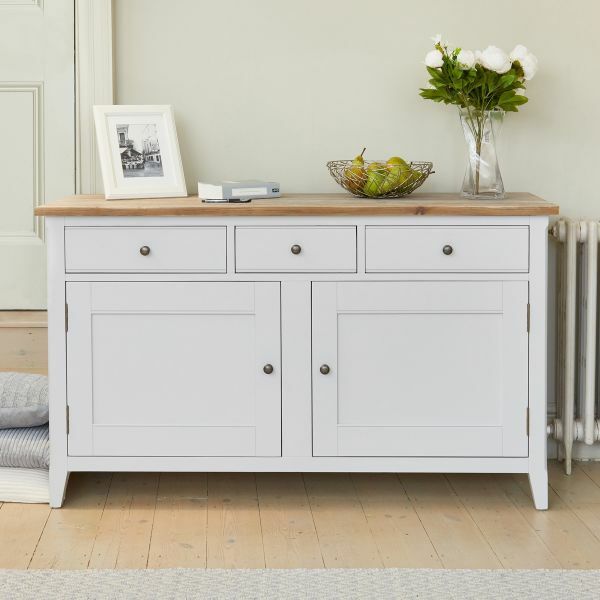 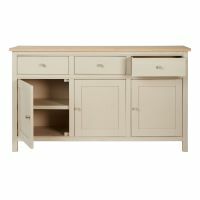 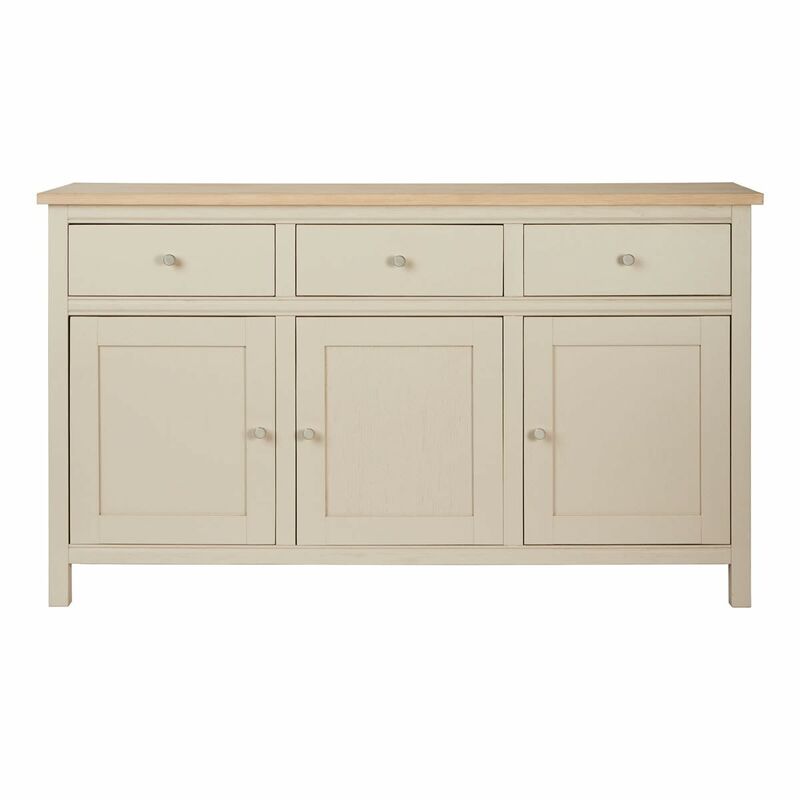 Add sleek lined, country style elegance to your home, as well as heaps of practical storage, with the Rushbury Painted Large Sideboard. 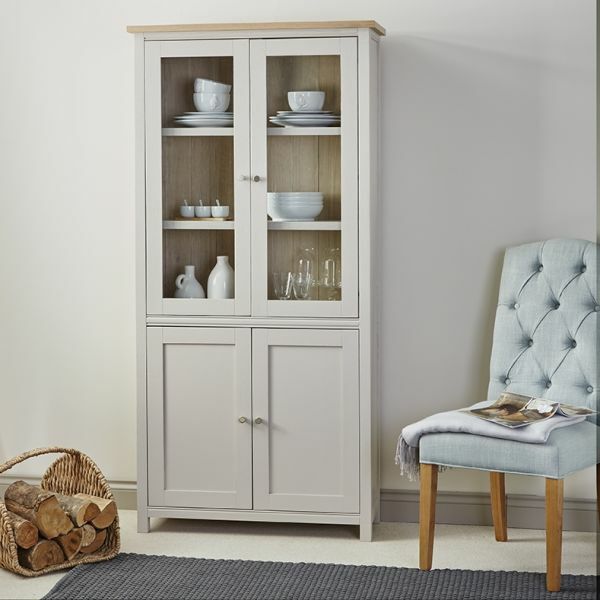 There's plenty of room on top for family photographs and treasured ornaments, while behind the three cupboard doors you can store away all your glasses and tablewear. The three drawers have plenty of space for cutlery and utensils and the contrast of one of the six paint finishes works beautifully with the oiled oak top. 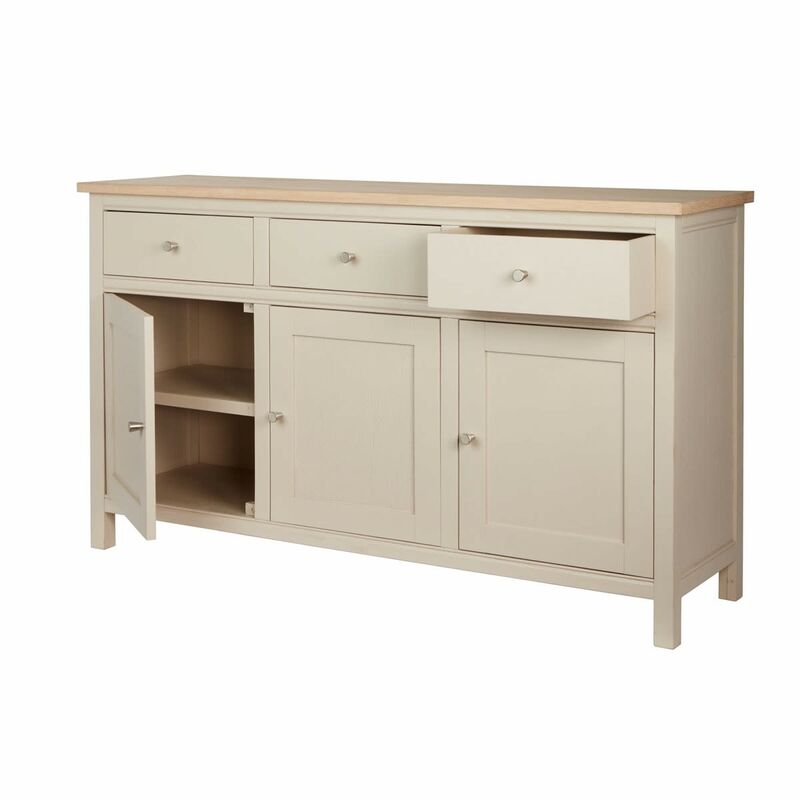 The sideboard is a handsome piece of furniture that will blend into most decorating schemes. 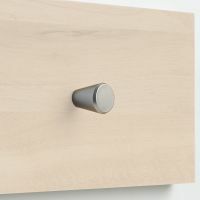 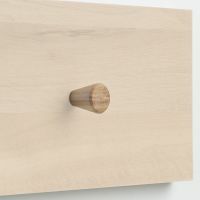 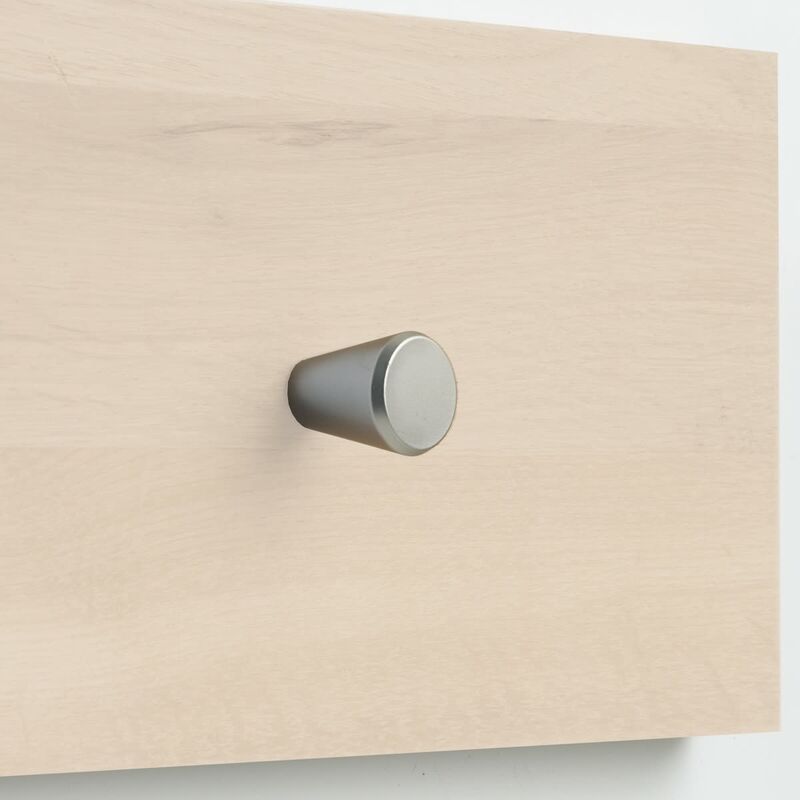 It's delivered with a choice of two handles, you can either select to use the modern polish metal or the classic wooden knobs. 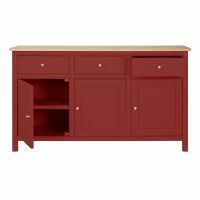 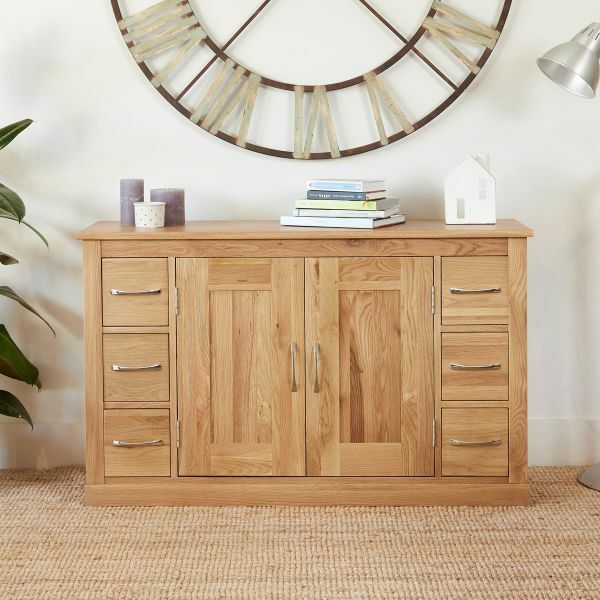 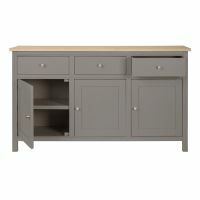 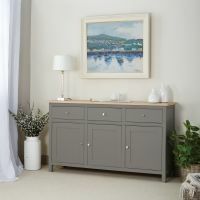 Crafted from oak, with a hand painted finish in a choice of six colour ways, this large sideboard is made to order, solidly built and delivered fully assembled within three weeks. If you're looking for a stylish alternative, why not consider our Signature sideboards?